So Lucky is the sharp, surprising new novel by Nicola Griffith—the profoundly personal and emphatically political story of a confident woman forced to confront an unnerving new reality when in the space of a single week her wife leaves her and she is diagnosed with multiple sclerosis. 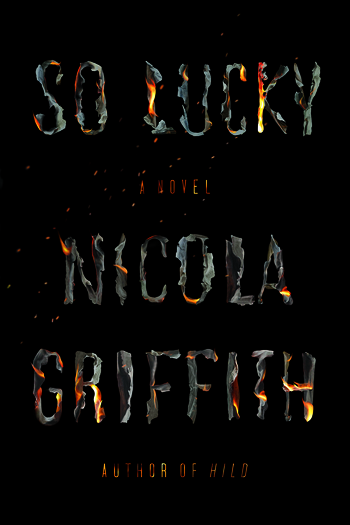 Nicola Griffith is the multiple-award-winning author of several novels, including Hild, and a memoir. A native of Yorkshire, England—now a dual U.S./U.K. citizen—she is a onetime self-defense instructor who turned to writing full-time upon being diagnosed with multiple sclerosis. She lives with her wife, the writer Kelley Eskridge, in Seattle.